Simulation : Solved issue with wrong collision detection with groove and thread cycles. Updated localization of ES - HU - FR language dictionaries. To get faster 3D model rendering , a new preference option is available . Edit -> Preference -> 3D Model Creation Mode - > ByWorkProperties. Here more info. Binded helix angle field in end-mill operation under drilling machining and now at the end of the helix toolpath it perform a arc disengagement in order to not drag the tool along the machined part. Moved to X64 system to solve issue with "OutOfMemory" exception with solid simulation . Mill Module - New Feature " FOLDER " . 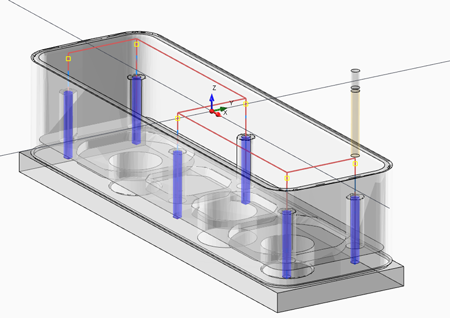 With this feature is possible apply transformation to toolpaths in order to duplicate the same toolpath in different position. Currently available ROTATE and LINEAR pattern. Now is possible visualize all the toolpath of the selected operations in tree view . Keep pressed CTRL key and select multiple items to select more item at once. G.Code generation of just the selected operation. Option available in Generation screen dialog. Lathe Module - Fixed bug with wrong initial position in particular cases. Removed "preview toolpath on mouse over" behaviour in tree view. Cut simulation integrated into main window . Rapid Collision detection available , here more info. Is possible define a different machine origin point at setup level. Mill Module - "Add Drill Tip Length" option. It extend the tool final depth by the length of drill tip. 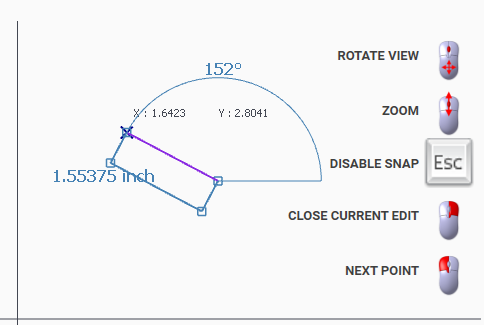 The additional distance is calculated reading tool geometry and tip angle. Mill Module - In chamfer operation , is possible define the chamfer diameter. The effective tool depth is calculate reading the tool geometry. New Feature - Is possible create script in C# language. You can now automatize and extend ecam functionality. Take a look a the related documentation for more information. Improved performance - Previously with a lot of entities on the scene , a bug in the snap system made it slow the software responsiveness. Now the problem it&apos;s solved. Tool Store - Is possible visualize tool preview into 2D preview screen under the geometry tab. Mill Module - Fixed bug in side milling machining with finish and chamfering operations. Now it&apos;s machined selected side of geometries. Lathe Module : Improved profile selection method . Now is possible select all the complete closed contourn. The correct profile will be extracted based on current machining operation type. Lathe Module - New Feature : Is possible define boundaries ( limits ) to selected profile. 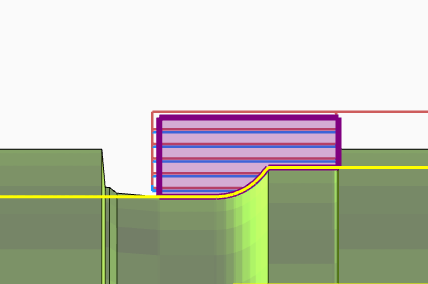 This permits to machine just the desidered profile section . Bug Solved . In some pc, due to DPI setting, the cursor had an offset with effective pointed area. Bug Solved - Fixed memory problem with with stock of big size . Bug Solved - Optimized the speed of snap cursor with a lot of entities on scene. Tool Store - Added corner radius property for end mill . Bug Solved - In tool store view, now it syncronize tool data parameter with selected material stock. Update Speed and Feed values after tool diameter property change. Update Feed values after tool flute count property change. New Feature - After cad file import, a screen with the most common basic edits is visible in the left column. Is possible rotate to left or right , scale , selected the origin point , change destination plane and flip all the entities, with few mouse click. Bug Solved - With custom stock definition, the software was crashing if single line was selected. Tools View - Now is possible sorting tool list by clicking on column header . 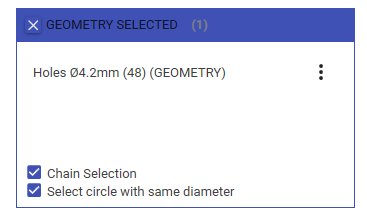 It&apos;s also available the search field text box, useful for finding tools by diameter or by name. Contextual hints are shows in the top right corner of the window, with icon and description . 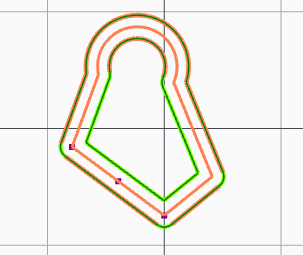 Cad editor : Improved offset method, is possible have rounded corner. Fixed Bug with Cad file import, now it explode grouped entities. Cam Mode : It show the drill tool overlay in drilling operations . Cad Editor . Fixed bug with detail screens. On properties edit , it update circle and line shapes. Improved general perfomance with big toolpaths. It create an ecm file with smaller dimension. If manually edited, it keep output g-code filepath from generation dialog. Fixed bug in backplotting, it simulate next operation when current one is terminated. Mill Module : Improved hole selection from cad geometries. In drilling operations , by default is proposed the most compatible drill tool from tool store , for the last selected circle geometry. This behaviour is disabled for the current operation if user input manually the drilling diameter value. Solved bug with cached toolpaths. Resulting in large ecm file dimension. Improved performance on refresh method. Fixed bug with feed values and secure z coordinate in milling module. Added Summary of used tools screen, to open it, click this icon on home screen. Improved performance after tool selection, reduce the idle time.